Eva's life is not her own. She is a creation, an abomination - an echo. Made by the Weavers as a copy of someone else, she is expected to replace a girl named Amarra, her 'other', if she ever died. Eva studies what Amarra does, what she eats, what it's like to kiss her boyfriend, Ray. So when Amarra is killed in a car crash, Eva should be ready. Now she must abandon everything she's ever known - the guardians who raised her, the boy she's forbidden to love - to move to India and convince the world that Amarra is still alive. Hello and welcome to my blog! For those of my readers who don't know, could you tell us a little something about The Lost Girl? Hi, Michelle! Thanks so much for having me here. The Lost Girl is about a world in which three Weavers are trying to cheat death. They stitch copies of real people, called echoes, and when those real people die the echoes are supposed to replace them. It's about a girl, an echo, who doesn't want to be somebody else. She wants her own life. It's about death and grief and dangerous choices, but also mostly about love. I love the similarities around Eva's story to that of Frankenstein by Mary Shelley - do you think teenagers and readers of YA can still appreciate a classic like Frankenstein and what do you think they could take from it? I was a teenager when I first read Frankenstein and, while it means a lot more to me now, I think I loved and appreciated it in my own way back then too. So I see absolutely no reason why teenagers and YA readers couldn't appreciate such a classic. It's difficult to imagine what they'd take from it, because everyone's reading experiences are so different, but I guess I'd say that what I took from it back then was a certain amount of awe at how dark and twisted and compelling the story was - and amazement at how cool the idea of stitching a human being together was! It also left me contemplating the tragedy of the whole thing and I think that tragedy carries over to The Lost Girl, because there's something so sad about the fact that these Weavers create these echoes and then essentially abandon them, that there's little to no love shown there. Just for argument's sake, if you were to have an echo, what sorts of behaviours and mannerisms would she have to learn in order to pass as you? Early on in The Lost Girl, Eva's other forces her into getting a tattoo. Do you have any tattoos, or what would you get if you had no choice in the matter? I do have a tattoo! Just the one. The scene in which Eva gets her tattoo is almost entirely factual (in the details, anyway) because I based it on what my experience was like. It's on my right shoulder blade. It's a star with two letters across it. There's a great deal mentioned about the books both Amarra and Eva read. What were your favourite books as a teenager and what are your favourite books now? Oh, wow. There are just too many to list them all. A lot of a books I loved as a teenager continue to be favourites now. I discovered Daphne du Maurier when I was fifteen and still adore her, I read The Time Traveler's Wife when I was nineteen, I still love Agatha Christie and JK Rowling. 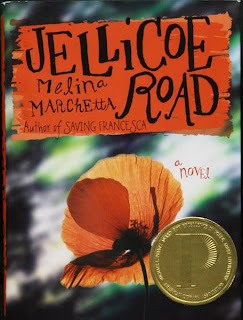 Recent books I've read and loved and added to my all-time favourites include Jellicoe Road by Melina Marchetta, Forbidden by Tabitha Suzuma, Tell the Wolves I'm Home by Carol Rifka Brunt and Maggie Stiefvater's Shiver and The Scorpio Races. The Lost Girl covers Eva's life in England and also in India. How did you try to differentiate the tone and setting of these very different places? To be honest, I didn't try to change the tone at all. It was Eva's story and it was always going to be in Eva's head, so the mood and tone of the novel stays much the same across its settings. The actual settings, however, were different and I did consciously try to show those differences, especially because Eva experiences such startling sensations when she first arrives in India. 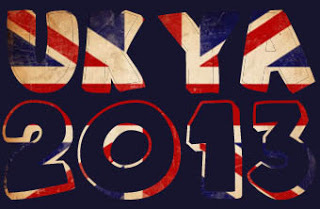 I used the England I know and the India I know, so they don't perhaps feel as exotic to some readers as they expected, but almost every place I describe and explore is real. I love the many different animal imageries that take place throughout The Lost Girl. How important was it to you to include these into the story? I think I wanted the book to have that slightly whimsical fairytale feel and one of my favourite things about fairytales is the animal imaginary and metaphors that carry through. I've always loved the story of the snake and the mongoose, and always thought it was heartbreakingly sad, so it seemed perfect to me for Eva. Mongooses are brave and fierce and tough but also, apparently, extremely loyal and loving. Eva is very mongoose-like. One of my favourite aspects of The Lost Girl are the people surrounding Eva who care very strongly for her, especially Mina Ma. Who was your favourite secondary character to write and why? I love almost all of them, especially Sean and Matthew, but I think Mina Ma sometimes wins out over the others. It's because she's so unreservedly loving and fierce. It's also because her love for Eva is so immense and so selfish. At one point she admits that she wishes Amarra would die because that would mean Eva is safer. It's great fun to write! And finally, what can we expect from you in the future? I've heard so many amazing things about Lost Girl- I've got it on order from the library and I can't wait to read it! Brilliant interview! I loved reading it. How do you think of such great questions, Clover!? 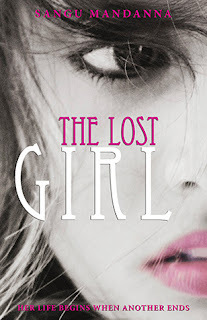 :) I really want to read The Lost Girl, everyone seems to be talking about it. Thanks for sharing! Nice interview. 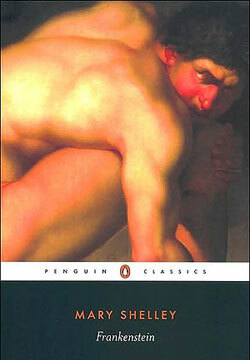 I HAVE to read this book.....soon. Yay! Thanks so much for having me here!